Mozambique – a land of turquoise water, framed by piping hot white sand stretching as far as the eye can see. 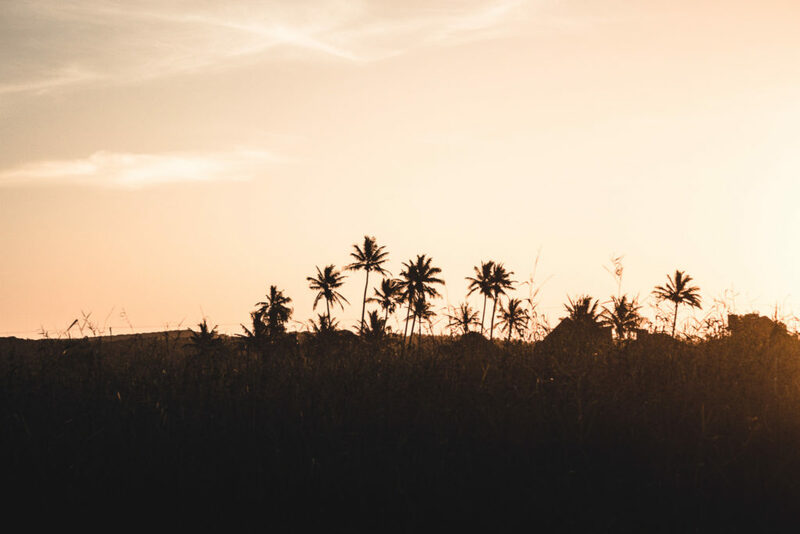 After spending three months exploring Southern Mozambique – from Ponta do Ouro, through Maputo, and North towards Tofu as well as Vilanculos in Inhambane Province – we compiled this 12 point comprehensive guide of what to do in Mozambique. The first thing every visitor must accomplish whilst travelling Mozambique, is crossing the border. This was a major point of stress when planning our trip – being turned away after driving more than 2,000km was not an option. Very simply, as with any border, one must have the necessary documentation for you and your accompanying vehicle to cross. Furthermore, one must comply with Mozambique’s import regulations. This is covered comprehensively in our guide to crossing the border into Mozambique. It provides all the information one needs to seamlessly get you and your vehicles across the border. 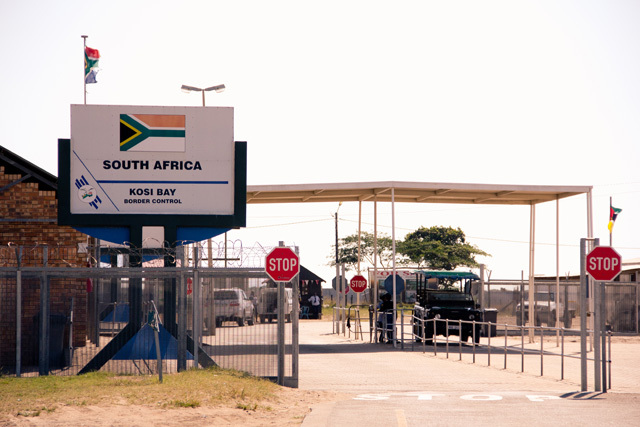 We entered through the Kosi Bay Border Crossing. Despite thorough preparation and double checking that we had all necessary documents, we nervously awaited to cross. Every border story told in South Africa warned of mass queues and corrupt officials inventing reasons to deny one passage. We, however, had the exact opposite experience and crossed without an issue in less than an hour. The border officials, rather than looking for inconsistencies in our documentation or another reason to turn us away, worked to get us across the border with as little inconvenience as possible. Our car was not searched, and we were served with a smile. On the one hand, I believe this was due to the manner in which we approached the crossing. We had the necessary documentation ready, were able to demonstrate knowledge of Mozambique’s import restrictions, and greeted the officials with smiles. On the other hand, our fear of corrupt officials was unfounded. Although police corruption was a major issue in Mozambique, in 2004 the country has tackled it head-on with an anti-corruption scheme. This targets police corruption in order to increase tourism. From our experience, this has been highly effective. Despite passing through over 30 roadblocks, our convoy of foreign vehicles was never pulled over. This was echoed by other travelers who experienced the same thing – police pulling over often overloaded local vehicles, but ignoring foreign ones. And if you are wondering, local vehicles are the creatively overloaded bakkies (pickup trucks). Now that you have crossed the border, you should head straight for Mozambique’s most famous attraction, the beach. Right along the coast, one is greeted with white sand and turquoise water. If the clean white sand does not impress you enough, the ocean will. Turquoise water so clear that waves seem to sport a tri-palette colour scheme. The ocean’s deep and vibrant turquoise is framed by a pale white reflection from the sandbank below, as well as the waves’ completely transparent lip. With water temperatures ranging between 23˚C in winter and 28˚C in summer, one can stay in the ocean from dusk till dawn (As a reference, Cape Town averages 14˚C, while Durban’s averages 24˚C). A beach with everything, one should therefore expect a beach packed to the brim with umbrellas and beach chairs, right? Wrong. 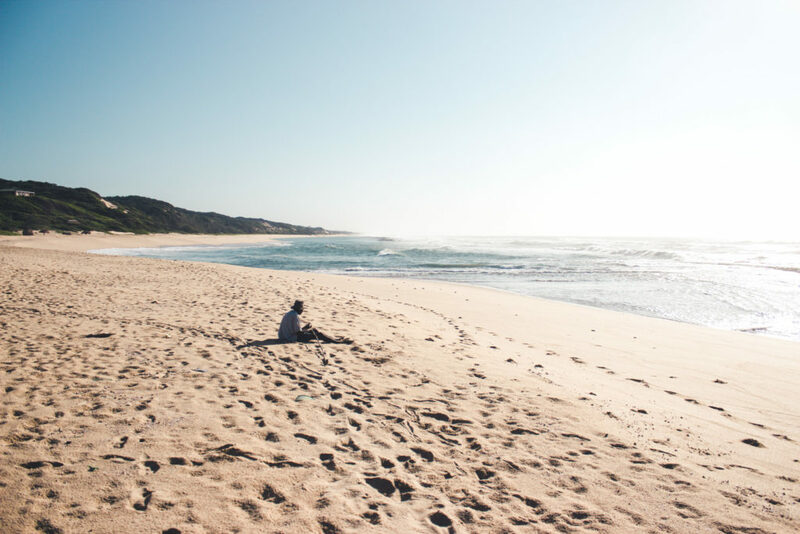 Even over the December festive season, Mozambique’s coast is relatively unspoiled and quiet – the exact opposite of Cape Town’s beaches at the same time of year. We spent Christmas and New Years in Tofu and although the town was packed to the brim with tourists, the beach remained an open space. So what should one bring to the beach? You will see many South African families bring what looks like their entire campsite to the beach. Although this looks extremely comfortable – yes we were rather jealous at times – it does not seem worth the effort. I smugly watched these families spend a couple of hours each day erecting and packing this kit away. For us, all you need is some form of shade, a cold drink, and maybe a few inflatables if you are feeling adventurous. Now, after your third swim, you are looking to explore the beach. A good old walk down the beach sounds great, but you have options. 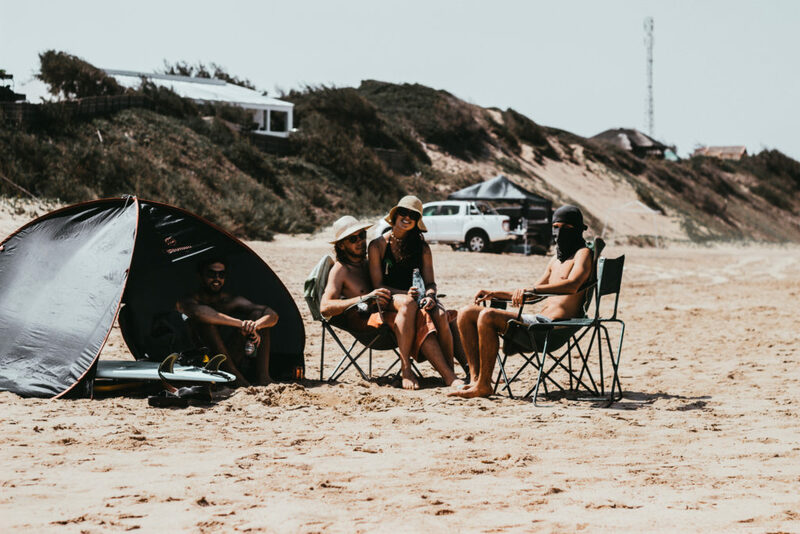 If you brought your inflatables, tie them together and host a float down the beach (Top tip: add a full cooler-box to turn you float into a booze cruise). Alternatively, one can explore the coast on horseback. This is a popular activity offered along the coastline, particularly around the more popular tourist attractions. For any animal lover, cantering down a deserted beach on a fit and happy horse seems the perfect way to explore the coast – and romantic too. 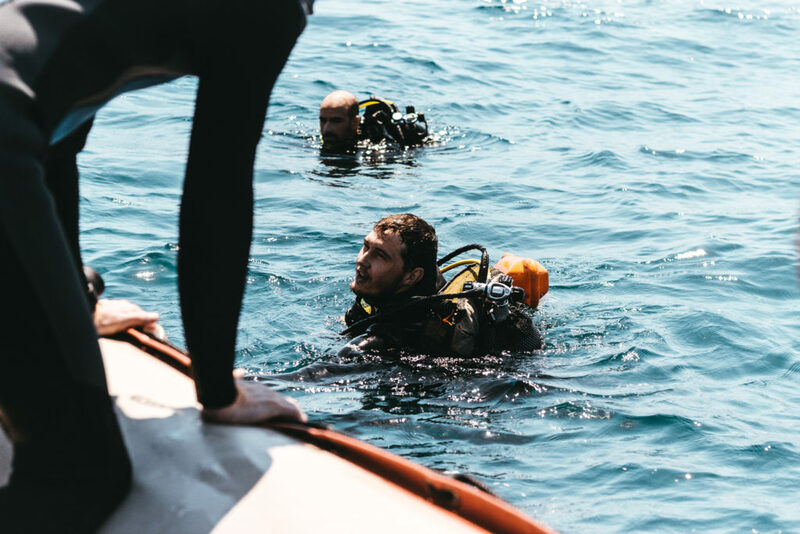 If sitting at the beach with a beer in your hand is a little slow for you, how about SCUBA Diving? If you plan to dive for the first time, or are a seasoned divemaster, Mozambique waters are ideal. The country is one of Africa’s premier diving countries. The warm and nutrient-rich Agulhas current that runs down the coast brings with it much marine life. This includes megafauna such as whale sharks, manta rays, humpback whales, and several shark species including the infamous bull shark. On the other hand, colourful reefs with dramatic drop-offs and pinnacles stretch right along the coast. These are home to bottom fish such as the potato bass, as well as pelagic game fish such as barracuda and kingfish. Moreover, the country has the largest Marine Protected Area (MPA) in Africa. This is located around the Quirimbas Archipelago in Northern Mozambique. Quirimbas is made up of just under 30 untouched islands that, in their reef and mangrove systems, serve as a refuge for nesting whales, turtles, sharks, and dolphins. Although, arguably the country’s premier dive location, most of the diving in Mozambique takes place further South. This is because Northern Mozambique, where Quirimbas is situated, is extremely remote and inaccessible without a 4×4. Although the Southern dive sites are generally not as remote or untouched as their Northern counterparts, they are equally impressive. Furthermore, the South also has its own Archipelago, the Bazaruto Archipelago. This group of six islands is found just off the coast of Inhambane province. Ultimately, no matter where you find yourself along the coast, the diving should impress. One will find vast reefs teeming with marine life from Ponta do Ouro, through Tofu, and past the Quirimbas Archipelago. I advise anyone diving in Mozambique to look through a guide to the country’s best dive sites. Furthermore, Mozambique’s diving conditions are also famous. Warm water around 27˚C as well as visibility often around 30 meters. However, extreme currents are common, making shore dives impossible and negative descents common. Just keep in mind that you are diving in Africa, so there is a chance of large swells and strong winds. As for the question of what time of year to dive in Mozambique, one can dive all year round. 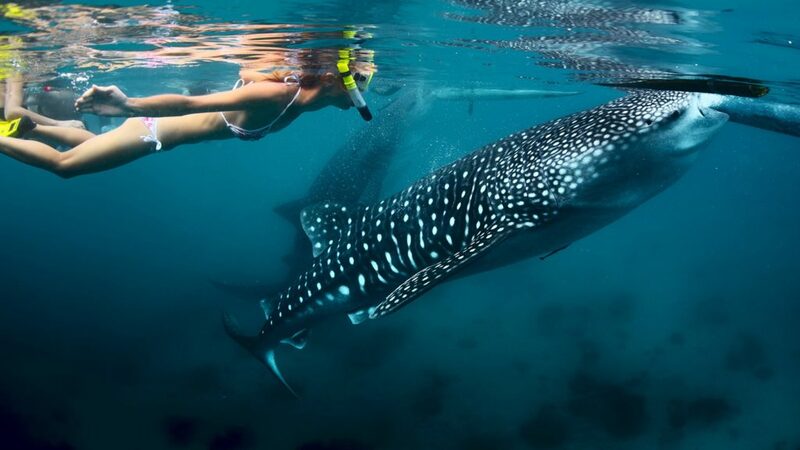 However, the best visibility is found between April and September, while one has a greater chance of seeing a whale shark between October and March. Breathing from a glorified fire extinguisher at the bottom of the ocean is not for everyone. However, even if SCUBA diving is not for you, don’t give up on your dreams of swimming with dolphins, whale sharks, turtles, and even manta rays. Most SCUBA centers also offer the option of an ocean safari or snorkeling trips. On these adventures, one heads out on a duck in search of dolphins and megafauna such as whale sharks. 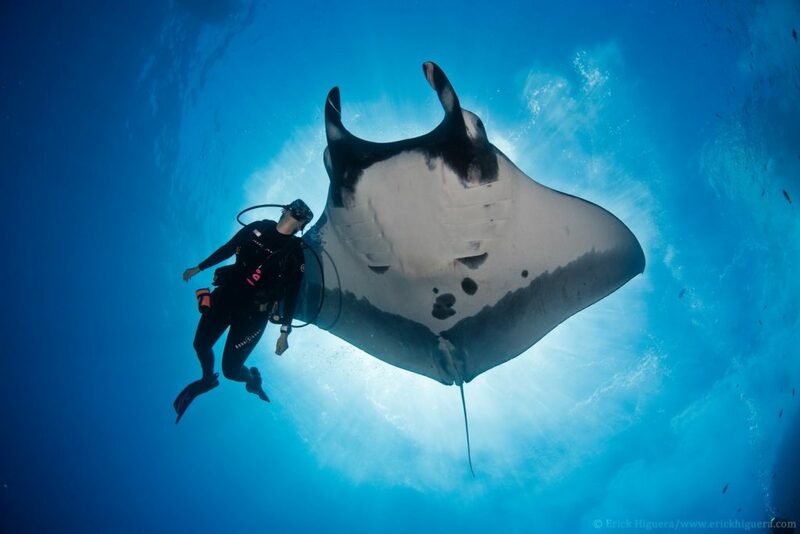 Once found, you get the opportunity to swim and interact with these creatures, truly a once in a lifetime opportunity. Surfing in Mozambique – Think warm tropical water and fast hollow waves away from the crowds. Much like South Africa, Mozambique is known for its right-hand point breaks, however, its tropical ocean is both warmer and clearer. Ultimately this is what earned Mozambique the reputation as Africa’s best kept surfing secret. Although swell hits Mozambique rather consistently most of the year (Between February and October), the best conditions are seen between June and the end of August. Unfortunately, onshore winds are common outside these months. Mozambique is the perfect destination for an exploratory expedition in search of new waves. With such an abundance of point breaks, this unexplored coastline is a goldmine of new waves waiting to be surfed. Furthermore, the coast is set up perfectly to accommodate such an adventure with a plethora of campsites right on the water. With regards to your kit, bring a spring suit and hope to surf in your boardies. With a water temperature of between 23˚C and 28˚C, a full suit is not needed. Tofino Point in Tofu is Mozambique’s premier surf spot. This point break is regarded as one of the best in Africa. It is also surrounded by multiple other lesser known waves such as Tofu beach, which is perfect if you are learning to surf. On the other hand, Ponta do Ouro’s Point of Gold is Mozambique’s other famous wave. Ponta is not as consistent as Tofino, but is compared to Jeffreys Bay when it is really working. These waves are, however, not suitable for someone who has never surfed before. Watch Rip Curl’s Surfing Is Everything: Part 2 Mozambique for an idea of the waves one can expect. Around any South African fishing club, one hears whispers of the monstrous game fish coming out of Mozambique’s waters. A decade ago, the fishing in these waters was somewhat of a secret. However, since the recent influx of tourists, Mozambique is becoming recognised as one of the world’s most extraordinary fishing destinations. 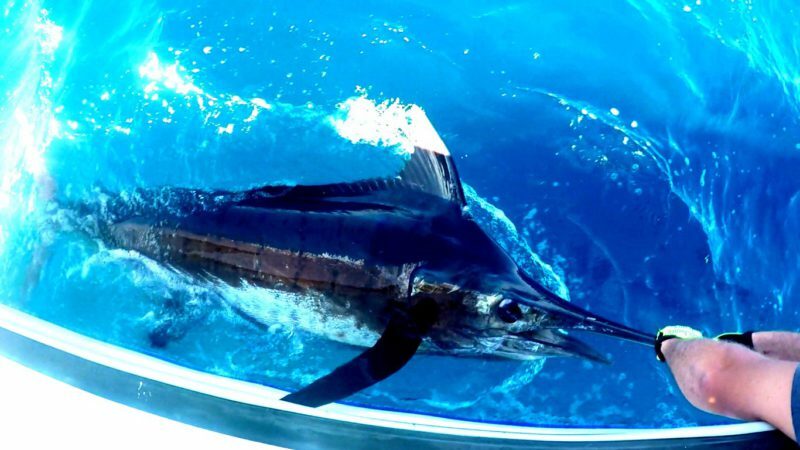 Offshore fishing is the most popular type of sport fishing in Mozambique. The prize catch would be a black marlin, but one can also expect to catch giant trevally, barracuda, and other game fish. Most notable offshore spots are Bazaruto Archipelago, Inhaca, Nacala, Pemba and the Quirimbas Islands. The Bazaruto Archipelago is in fact regarded as one of the world’s premier destinations for black marlin. Many South Africans bring their own boats across the border, but without local knowledge they seem to catch substantially less than chartered expeditions or local fishermen. We suggest heading out with the locals, who consistently come back with an impressive catch despite their tiny wooden vessels and makeshift equipment. After watching these men arrive onshore with tuna, dorado, and travelli each afternoon, I asked if I could join them. The next day we set off 4:30 am. Although I was pretty much the only person who did not catch, I will never forget the experience. Probably my most memorable day in Mozambique, and makes a good story too. Furthermore, Mozambique is also ideal for rock and surf fishing. It has one of the world’s best saltwater fly fishing and is an absolute spearfishing paradise. 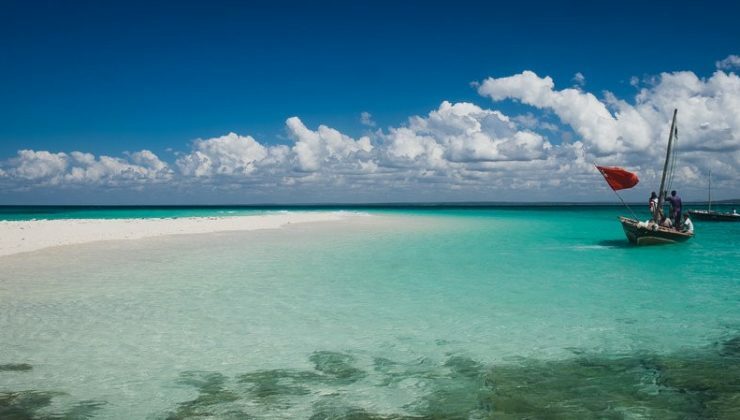 Breaktaking white dunes rising out of Mozambique’s turquoise ocean, what you are seeing is the Bazaruto archipelago. An archipelago is a group of islands close to a mainland. Mozambique has two archipelagos – the aforementioned Bazaruto Archipelago and the Quirimbas Archipelago. Divers and fishermen flock to these sites for the marine life living off their shores, but this is just part of their charm. Their absolute beauty is truly something to behold. The Bazaruto archipelago is located just off the coast of Inhambane Province (Southern Mozambique). One can stay on the island, or take a day trip. These day trips can be organised through a charter, otherwise one can travel in a traditional dhow. On the other hand, the Quirimbas Archipelago is located in Northern Mozambique and is therefore far more remote and unspoiled. 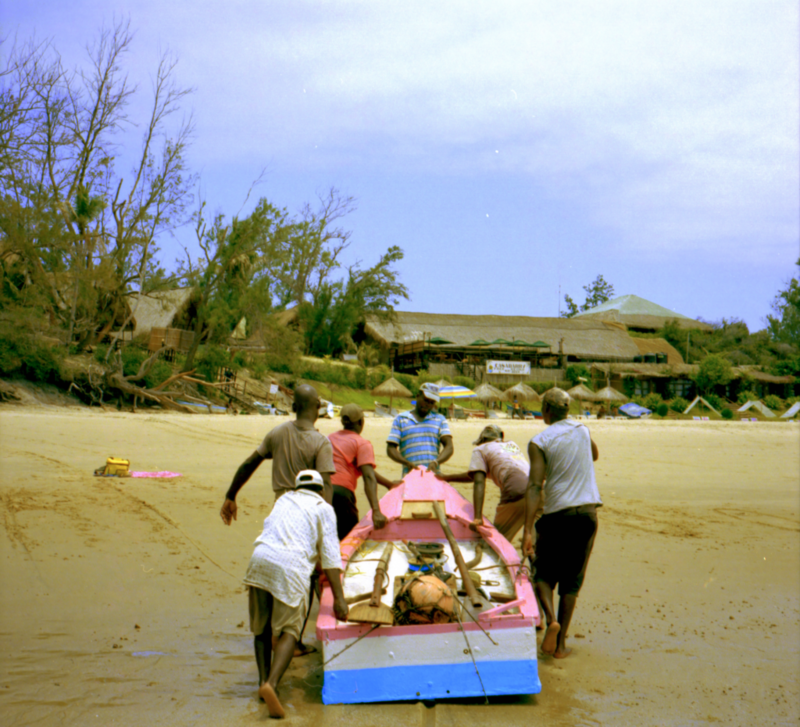 Although getting to Northern Mozambique can be challenging, it should be well worth it. Although Mozambique is most famous for its natural beauty, it is also a rich cultural experience. Throughout the country, one can find untouched villages. Don’t be afraid to explore, despite living in abject poverty, the local people always seem happy to see a foreign face. 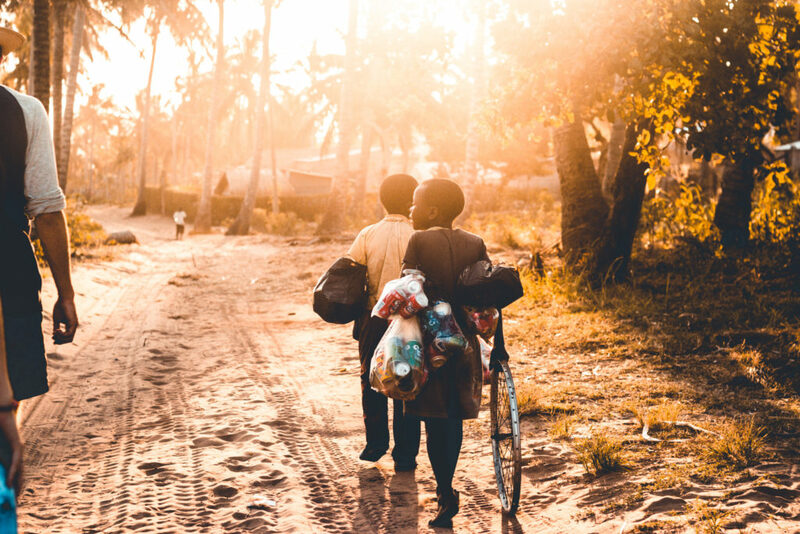 Furthermore, one would expect such an expedition into a poverty-stricken village to leave you with a heavy heart, but this is not the case in Mozambique. You will see the local children – after asking you for “sweeeeeeets” – dancing, chasing each other and running after a soccer ball. When exploring a village near Vilanculos, I was taught to weave palm leaves, while other members of our group joined a few local men drinking local beer. This can be a truly fulfilling and authentic experience we recommend to anyone passing through Mozambique. Contrastingly, Maputo could be described as one large and dilapidated art deco exhibit – Its streets lined with flowing art deco lines. What stands out most, is how these buildings stand exactly as they were built. Everywhere you look, Panco Guede’s distinct lines can be seen. Furthermore, traditional Portuguese mosaics are another feature of Maputo’s streetscape. The most notable structure in Maputo is the Central Railway Station. Interestingly, this structure was completed in 1916, before the influx of art deco designs. We have all heard Sir Attenborough wax lyrical about African sunsets. Unfortunately, the sun doesn’t set over the ocean in Mozambique. This means that, in order to fully appreciate it, you’ll need to set yourself up on a perch. During our three months in Mozambique, one particular sunset perch stood out above the rest. This spot was the abandoned lighthouse located alongside Zavora Lodge in Inhambane province. This lighthouse, built in 1907, sits on a hill just a couple hundred meters from the sea. The panoramic view is truly something to behold. Ahead, a great sinking orange ball of fire. To the left, waves breaking along the never-ending coastline. And to the right, a vast field of reeds reflecting the skies golden pink tones. Make sure to pack a cooler box, maybe some snacks, and bask in the day’s last rays of sunshine. After all these activities you’ll be ravenous. Luckily, Mozambique is one of the few exceptions in a continent renowned for relatively bland flavours. Mozambique’s exotic and exciting flavours can be traced back through the country’s history. The use of typically Arabic spices traces back to the Arab slave traders who operated on the coast around 700 AD. On the other hand, typically Portuguese flavours dominate the Mozambican menu. 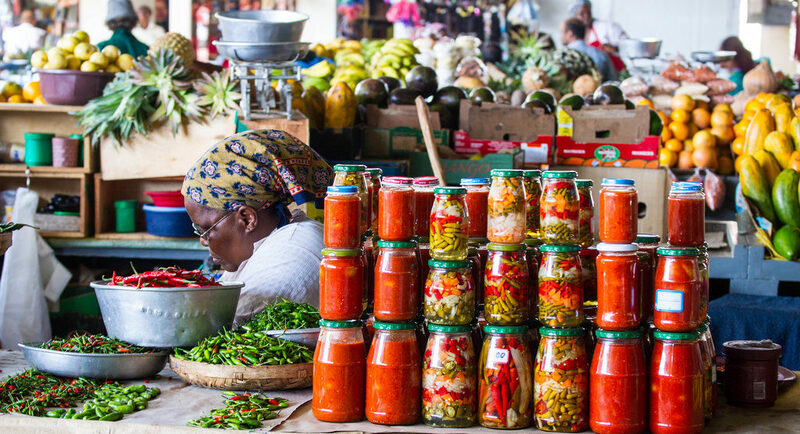 Through colonisation, Portuguese flavours became entrenched in Mozambique’s culinary culture.The result, lots of piri-piri, which translates to spicy-spicy. One does not find much red meat in Mozambique. Chicken and seafood seem far more popular than red meats such as beef or lamb. Typically, the chicken is spiced with a heavy dose of piri-piri. On the other hand, the seafood pulled out of Mozambican waters is a real treat. Most impressive is the variety of fresh, exotic seafood readily available on a daily basis. You can find anything from game fish such as tuna and dorado to crayfish, prawns, clams, and octopus. Furthermore, one must sample the selection of fruit found throughout the country. Although a wide selection of various fruit is available – mango, banana, and pineapple are the most popular. What really stands out is the amount of juice contained in these fruits – you’ll need a napkin, but it’s well worth it. Restaurants in Mozambique vary in quality. However, most restaurants outside of Maputo are aimed at tourists, so expect tourist prices. Nevertheless, one can enjoy some truly exceptional meals with your feet on the sand. Supermarkets are available for grocery shopping, however, in some areas they are very small and offer little more than the basics. 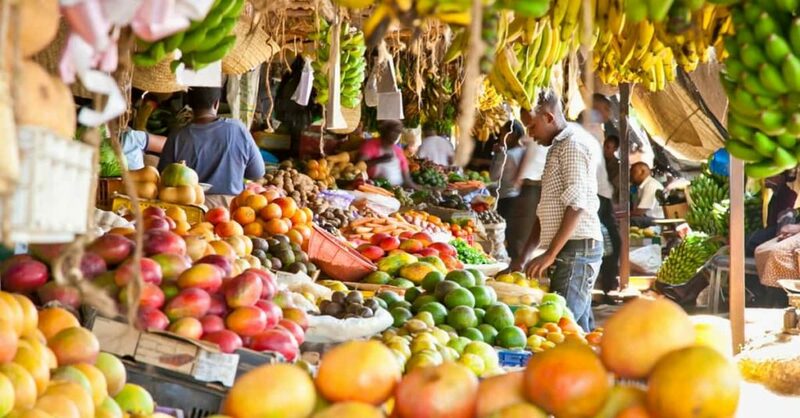 For a more authentic and colourful experience, visit a market or buy from roadside vendors. Various markets are scattered throughout the country. Some markets offer everything from fish to fruit, alcohol, and paõ. 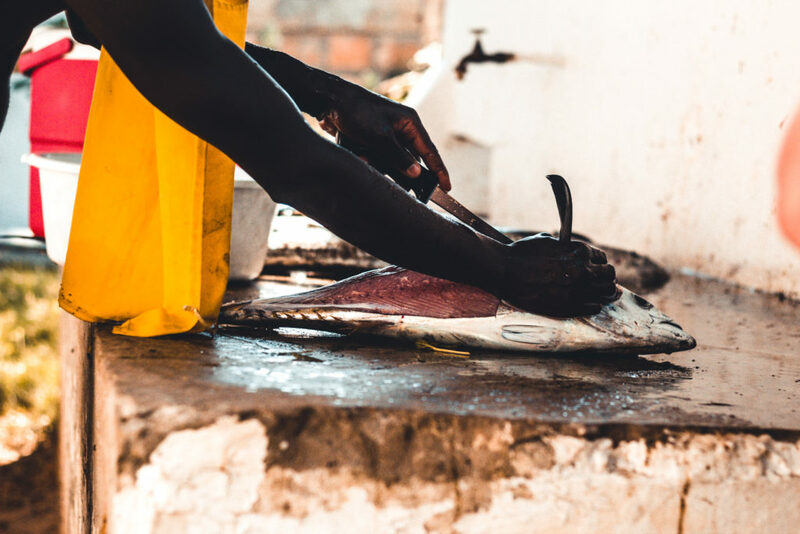 Contrastingly, other markets specialise in one type of food, such as the Maputo fish market. I highly recommend visiting these markets, they are a lot of fun and sell truly delicious food. However, avoid the Maputo fish market. From my experience, it is a hotspot for tourist rip-offs and scams. For the best fish, buy straight from local fishermen. Wherever you are staying, let the locals know you are looking for fish, and the fresh catch will make its way to you. We consistently bought tuna caught earlier that morning for just over R100/kg. Furthermore, one can ask to have the fish cleaned and filleted, but it’s polite to tip if you do so. We were never presented with old fish, but to ensure you are buying fresh fish, inspect the fish’s eyes. A fish caught earlier that day will have clear eyes, while one past its prime will have dull grey eyes. Mozambique offers a wide variety of alcohol. You may not find your favourite brand, but you will find whatever type of alcohol you are looking for. All imported alcohol is however sold at a premium. We suggest sticking to the locally produced alcohol. Besides being cheaper, drinking a local brew will facilitate an authentic Mozambican experience. 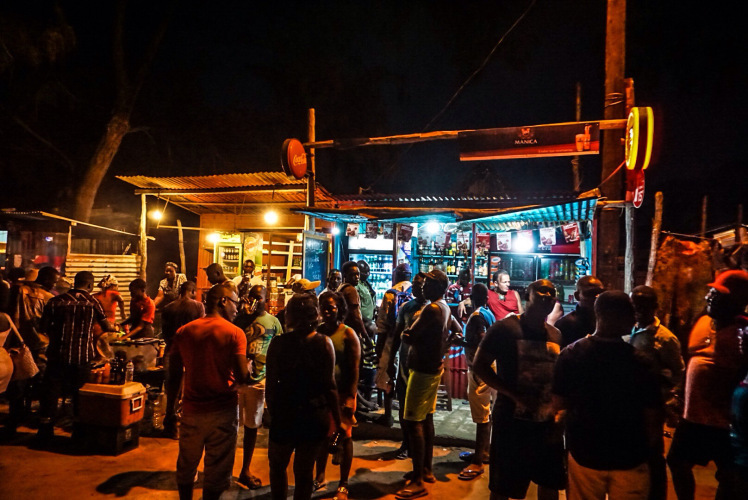 Mozambique’s favourite drink seems to be beer. No surprises here, once you taste their beer you’ll understand why. Laurentina Clara, a pale lager brewed by Laurentina Brewery, is the most awarded beer in Africa. But don’t stick to Laurentina Clara, rather explore the multiple of other brews Mozambique offers. We suggest trying 2M and the rest of the Laurentina range. On the opposite end of the scale is Impala. This is the beer one will most often see in the hand of a local. Although it will never win any awards, it is a must-try when exploring the country. It is made from a starchy tuberous root, and noticeably cheaper than other local beers. But beware, with a 6.5% alcohol content, it can do some damage. So the beer is great, but what to do if beer is not for you? Tipo Tinto is the answer. This rum has been enjoyed locally for more than 150 years. If you are a pirate you will enjoy Tipo Tinto neat, but it is traditionally used to make an R&R (Rum and Raspberry). Mozambique is not a well known safari destination, with neighbouring countries dominating the Southern African safari industry. It, however, offers much of the same, just without the crowds. No queues. No traffic jams. Just your vehicle alone in the deep green Mozambican landscape. Mozambique’s wildlife stocks suffered during the civil war, but have since recovered remarkably. Your visit to a Mozambican nature reserve could help boost these numbers even further. Gorongosa National Park is situated in central Mozambique. It is nicknamed the “Serengeti of the South” because of its vast savannas and thriving lion population. Modeled after Africa’s finest luxury safari lodges, you can expect nothing but the best. This includes guided tours introducing you to all the predators and grazers you wish to meet. 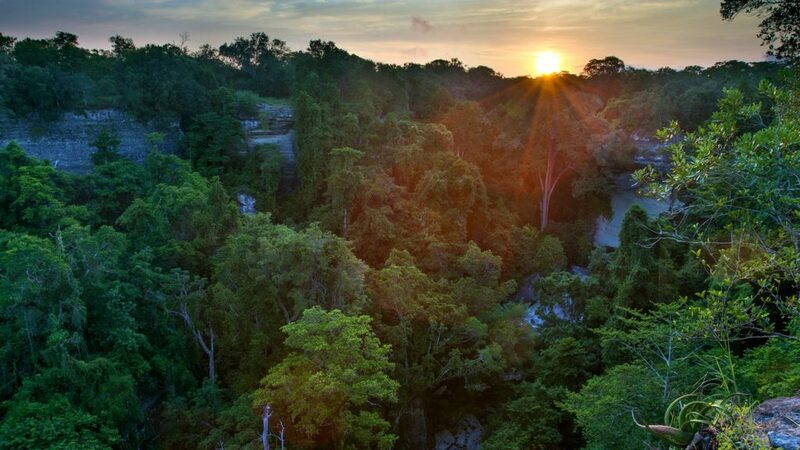 The Maputo Elephant Reserve (Reserva Especial de Maputo) is another option. It is situated on the coast, just South of the Bay of Maputo. It is therefore a destination for safari and beach lovers. Besides being on the coast, what makes this reserve special is that you are able to explore on your own rather than through a guided tour. Unfortunately, the reserve does not have any lion. One benefit of the lack of lion is the Milibangalala campsite. This campsite is located in the reserve, right on the beach. We stayed here during our expedition and we were blown away. Nowhere had anyone experienced a campsite so untouched. 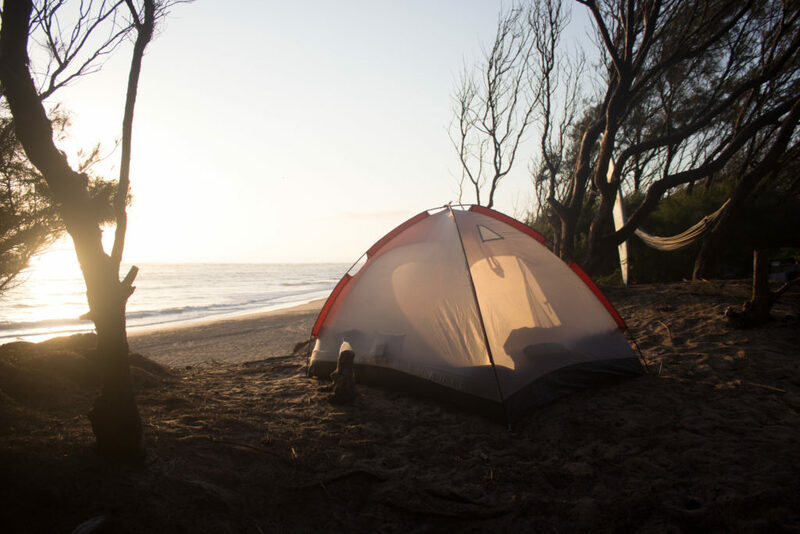 Think camping in the middle of the Kruger National Park, but replace the lions with the ocean. One cannot book a campsite, and must simply pay at the reserve’s entrance. This is an unknown destination so there will be space. You will, however, need a 4×4 as four hours worth of sand track sits between the reserve entrance and the campsite. Furthermore, for those who do not enjoy camping, the reserve does offer more sophisticated accommodation options. You should now be prepared for a trip up the coast to Mozambique. Through this 12 point guide, one part will prepare you for the county’s ‘must do’ activities and ‘must see’ landmarks. No matter you enjoy, this exotic country will offer something for you. 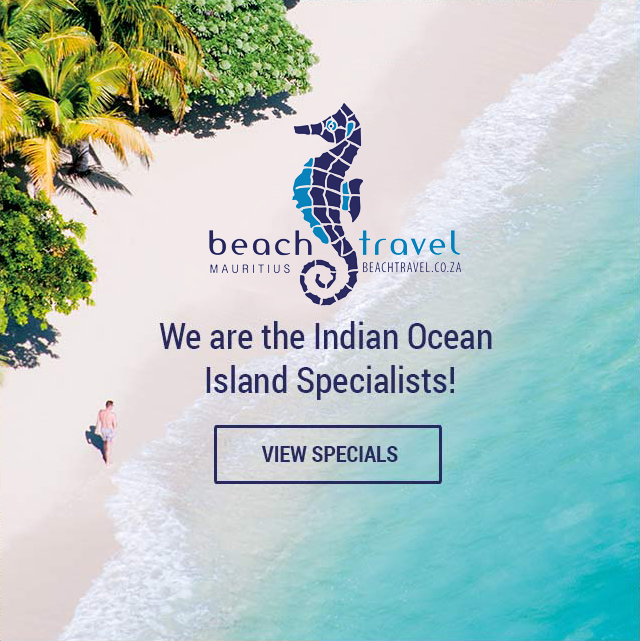 Marine explorers, you can dive, fish, surf, and relax on the beach. You will truly happy frolicking in warm, crystal clear water. On the other hand, less waterproof visitors can go on a Mozambican safari, immerse themselves in the country’s rich cultural heritage, or watch a sunset from an abandoned lighthouse. Furthermore, everyone should enjoy immersing themselves in the country’s rich cultural heritage and sampling its historically delicious cuisine. We hope you have a wonderful time working your way through our list.